Imperial scientists have sent their prototype magnetometer to ESA for testing, before building the final model for a mission to Jupiter. 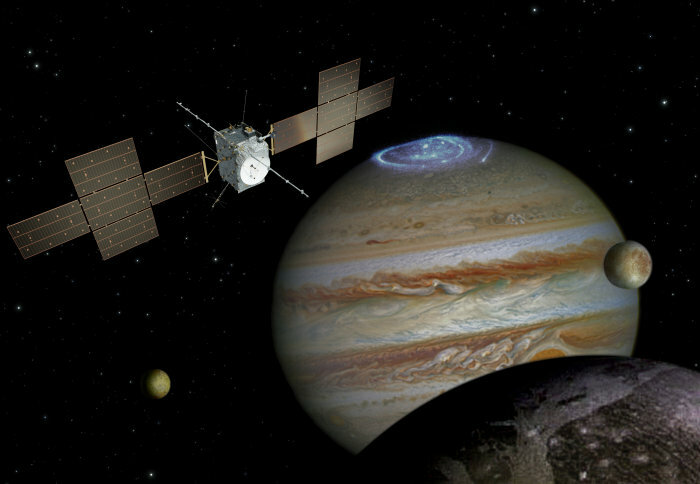 The European Space Agency (ESA) JUpiter ICy moons Explorer (JUICE) mission is due to launch in 2022, and on board will be an Imperial-made magnetometer. The magnetometer will measure the magnetic environment the spacecraft encounters, and in particular will study the magnetic field of Ganymede. The largest moon in the solar system, Ganymede is the only moon known to produce its own magnetic field. Beneath its thick icy crust, Ganymede is suspected to have an ocean, which the magnetometer can help to characterise. The magnetometer has to be very sensitive and cannot be affected by any magnetic fields created by the spacecraft itself. For this reason, it will be fixed to the end of the longest boom ESA have made for a spacecraft – sticking out over ten metres from the main body. The team are already testing the sensitivity of their model magnetometer, using equipment that create magnetic fields. Senior Instrument Manager Patrick Brown said: “Our magnetometer and the spacecraft will face a tough environment around Jupiter. The Imperial team have finished their ‘engineering model’ of the magnetometer system, and today delivered it to Airbus in Toulouse, where the first tests of linkups between the instruments and a main mock spacecraft body will take place. Next, they will build a ‘qualification model’, which will go through even more rigorous testing, such as simulation of the intense vibrations the craft will be subject to on launch, and simulation of the extreme temperature swings it will face out in space. 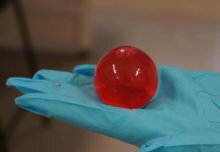 It will also be able to survive the intense radiation environment around Jupiter, which is worse even than for spacecraft flying close to the sun, as the moon Io is volcanically active and spews material into the environment that can affect the craft. Finally, alongside the ‘qualification model’ the team will build the final ‘flight model’, which will be mounted on the spacecraft to begin its journey to Jupiter.